Have you ever moved cities, towns or even countries? Apart from finding somewhere to live and working out where to local amenities are like the supermarket and pub you also need to find services like your local GP, dentist, and of course (and most importantly!) your hairdresser. This can sometime be the most traumatic selection! Who should you trust? How do you find someone who will do your hair, just how you like it? What if they do a botch job and you have to live with bad hair for weeks!!? So here are my top 5 tips to finding a hairdresser to suit you. There are a huge range of hairdressing salons out there. Barber shops, walk-in places that just do cuts for a bargain price through to top end fashion driven celebrity hairdressers. It all depends on your budget, the look you are going for and how close by you need them to be. Working out what you want first up is pretty important. If you are low fuss and just looking for a trim every 6-8 weeks a walk-in joint might be perfect. If you like an "experience", a little more TLC, professionally trained hairdressers, beautiful surrounds and want to feel really special when you leave well, come on in to Stevie English Hair. We'd love to look after you! Chances are they are a few salons in your local area. Why not go for a wander past each one and check them out? Is the salon generally clean and tidy? Are the windows clean? Is the floor swept of hair? A tatty dirty salon does not give the confidence that they will pay attention to the little details when doing your hair. Do the staff take pride in their appearance? Chances are if they care how they look they'll care about how you look. Does the salon look relatively modern? This is certainly not the most important aspect but it may give you a clue that they like to keep up with other things. This could include; the latest techniques for colouring, cutting and keeping up education for the staff. Does the salon have a good vibe or culture? Does it seem like a happy place? Happy employees do a good job. Is there someone you work with who has fabulous hair? Do they have an immaculate cut? Is there hair colour inspired? Beg them for their secret and hopefully they will reveal a wonderful hairdresser. Maybe you have seen someone on the street or in the local coffee shop who's hair is fab. Give them a compliment and ask if they would mind sharing their hairdressers name? Ask your friends who does their hair or get on social media. Twitter is great for sourcing the best recommendations from across the web. 4. Are they willing to talk? 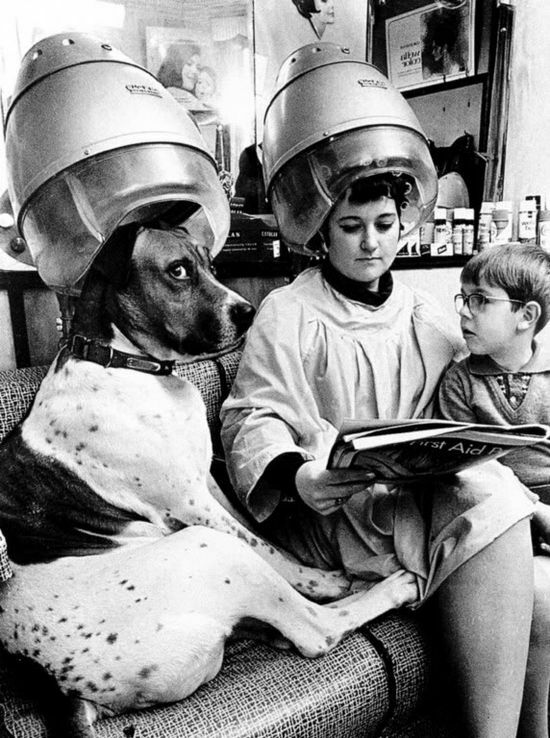 I don't mean will they tell you their life gossip while you are trying to read the latest fashion glossy while they blow-dry your hair...I mean, are they willing to give you a consultation about your hair before they touch a strand on your head? This should take into account what you are looking for and also what they recommend depending on your hair type, face shape and lifestyle. Are they willing to do this with no obligation of payment? Are they willing to talk about the various options including the price, so you don't get a rude shock at the register? Hairdressing is a people profession and the relationship they build with you is as important as the hair they do. 5. Do they keep you waiting? Ever been to the salon, excited about getting your hair done, and looking and feeling great? Of course. Ever been to the salon and had to wait? And wait. Now sometimes things go wrong, staff get sick and the wheels can fall off, the same as any business but it's how you get treated when this happens that makes the difference. If you have arrived on time for your appointment and not been acknowledged or had to wait for 30 mins or more, perhaps they don't deserve your service? Once you are happy with all these tips, take the plunge and give the new hairdresser a go! Obviously we want to do your hair. But there are so many great salons out there! Good hunting. Here is a little blog about why we might be good!